PC Sorcar’s Magic Show: Was it High Expectations or a Magical Disaster? Mayank Saxena relates his experience of PC Sorcar’s magic show! Guess this world-renowned magician needs to reinvent himself! The word “expectation” is really magical. Naturally, it has a subtle positive tone to it. We expect things to behave in a certain way; people to respond in ways known to us and situations to unfold in a way that we are comfortable with. Our expectations are a reflection of our environment and it won’t be an exaggeration to say that movies influence our expectations a lot. Often, it leads to mismatch between our expectations that are influenced by movies and the reality. I experienced a moment of such expectation bubble when attending the magic show of P.C. Sorcar Jr. on May 18, 2013, in New Delhi. To set the precedent right, I watched The Illusionist (2006; Edward Norton is the lead) and The Prestige (2006; Christian Bale and Hugh Jackman are in the lead roles), a week before the magic show. It is to be noted that The Prestige is a Christopher Nolan direction and the kind of detailing provided in that movie is awesome. It takes you in to the world of magic in a way that you start feeling connected with the characters and their magical environment. You will fell in love with magic after watching The Prestige. For the first timers, the climax of the movie is a shocker. Having watched such brilliant movies on magic, my expectations were really high from this magic show. 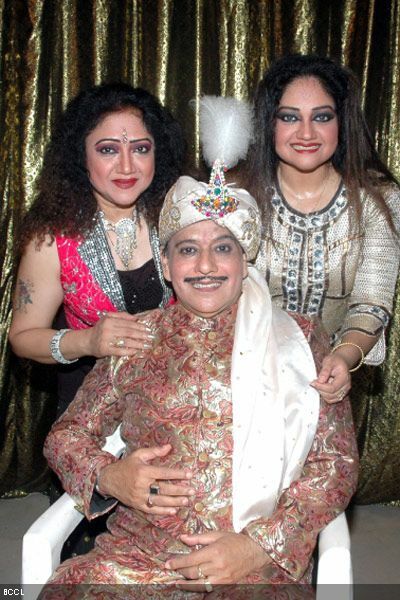 Also, I have heard that P.C.Sorcar Jr. has been doing some phenomenal work. Media reports suggested that he has become the ambassador of Indian magic at the global level. Such kind of media coverage further raised my expectations. As I set my feet in the auditorium, I was almost convinced that it’s going to be a magical evening for me. What happened next can be called a good showmanship, but a “magical disaster”. My expectation bubble burst just like the US housing market in 2008. Most of the magic tricks he performed were known to me (courtesy: Breaking the Magician’s Code – AXN). There was one particular trick – X-ray Eyes – that amused me the most. In this trick the magician was blind-folded. A volunteer was supposed to write English words, mathematical formula or scientific equation on a black board and the magician was supposed to write the exact thing again. To my curiosity, P.C.Sorcar was able to write it at the same speed as that of the volunteer, despite being blind-folded. On the hindsight, the show was not that bad. I wonder if my expectations were not influenced by great Hollywood movies and if I haven’t seen AXN show, would I have enjoyed it more. Does knowing what’s going to happen kill the fun of being in present? However, should magicians not reinvent themselves and their tricks? This entry was posted in Magic, Uncategorized, Work and tagged Christian Bale, Christopher Nolan, Edward Norton, Hugh Jackman, Magic, P C Sorcar Jr, Performing Arts, Prestige on May 20, 2013 by missionsharingknowledge.